The Adventures and Misadventures of Mrs.Panda: ATC Summer Workshop 2015 for South Kiddos! ATC Summer Workshop 2015 for South Kiddos! 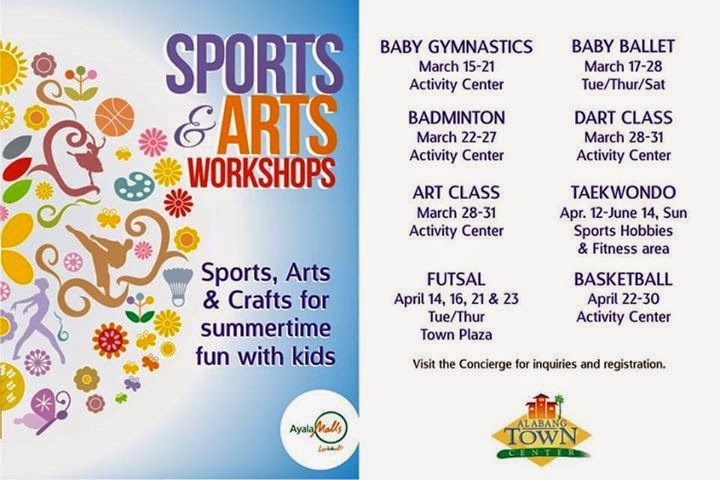 Interested participants may register at the Concierge for their chosen summer workshop (registration period listed-above) and slots per class are available on a first-come, first-serve basis. 3. Once completed, interested participants shall submit all documents at the Concierge and will be given a color-coded class ID. a. Students must present his ID before class for verification. Only students with valid IDs shall be entertained. c. All participants with three consecutive absent will not be a certificate of completion. d. All participants shall be in proper uniform and must provide their own materials for each class. Day 2 Mini Haul + Tampopo!